Ranbir Kapoor is the chocolate boy of Bollywood. He also known as the 'Lover Boy' of the B-Town. He made his acting debut with Bhansali's 2007 flick Saawariya for which he was awarded with Filmfare Best Male Debut award. As of July 2018, Kapoor has three upcoming projects. He will feature opposite Alia Bhatt in Ayan Mukerji's fantasy film trilogy, the first of which is named Brahmastra. He has committed to play a dacoit in Karan Malhotra's period adventure film Shamshera, alongside Vaani Kapoor and Sanjay Dutt, and will star with Ajay Devgn in Luv Ranjan's as-yet untitled romantic comedy. 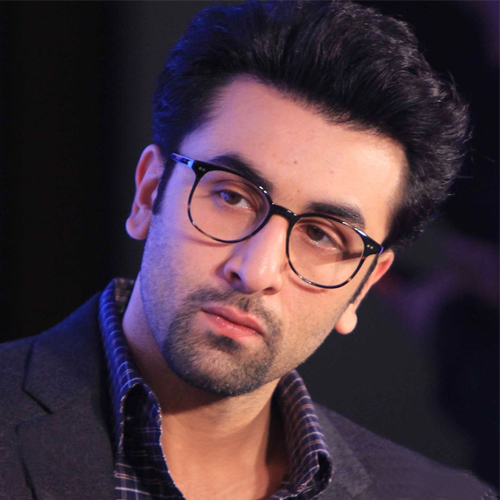 He is named after his grandfather Raj Kapoor, whose real name was Ranbir Raj Kapoor. Interestingly, he was also grandfather, Raj Kapoor's favourite grandchild. Whenever Ranbir's mom Neetu Singh Kapoor scolded Ranbir, little RK would complain to his Dadaji who would in turn scold Neetu. Ranbir Kapoor worked in Bollywood for the first time as an assistant director for Sanjay Leela Bhansali's Black. During this time, he cleaned the floors and fixed the lighting too. He even worked from 7 am to 4 am at times. Sonam Kapoor was also an AD on Black and fortunately they both debuted in SLB's next Saawariya.